On arrival at Indore railway station/airport, meet our representative who will be there to greet you and take you to Mandu by road, which is about 1 hour journey. On arrival, check in at your already booked hotel in Mandu. The rest of the day is free for leisure. During your leisure time, you can rest in your room or take pleasure of the modern amenities offered by the hotel. Enjoy dinner followed by an overnight stay in the hotel. In the morning after breakfast, we will leave for the local seightseeing tour of Mandu, also named as "City of Joy". The place is known for its ancient monuments that are in well maintained situation even today. The monuments of Mandu comprise of palaces, mosque, forts, reservoir, temples, gardens, cenotaphs, etc. Later, return back to the hotel for a relaxing overnight stay. Today, we will start our day a bit early in the morning and drive to Maheshwar, which is about 2 hour drive. On arrival check in at your pre-booked hotel and thereafter, leave for the local sightseeing tour of Maheshwar. We will start our day tour by visiting riverside temples and Ahilya fort. In the evening, we will proceed to the Narmada River to enjoy boating. Thereafter, we will return back to the hotel in Maheshwar for an overnight stay. After breakfast in the morning, we will leave Maheshwar and drive to Omkareshwar, which is about 2 hour journey. 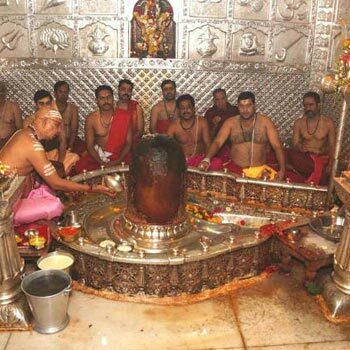 At Omkareshwar, we will explore its famous temples. Blessed with one of the Jyotirlingas of Lord Shiva i.e. 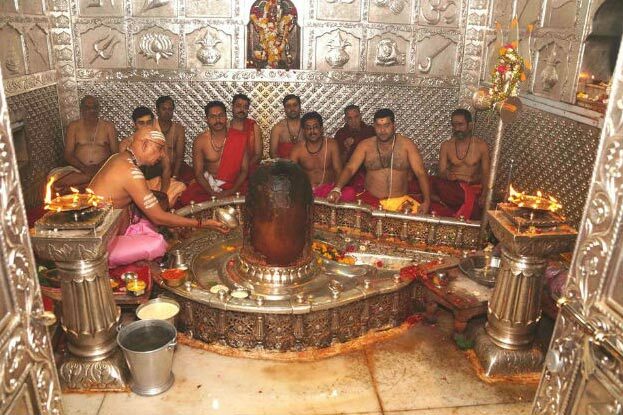 Mamaleshwar temple, Omkareshwar is one of the important pilgrim centers in India. Mamaleshwar temple is also known as Amareshwar temple and is nestled on the other side of the river. One need to pass through bridge called Mamaleshwar Setu to reach the temple. Thereafter, we will visit Varhdheshwar temple, Annapurna temple, Gouri Somnath temple, etc. You can also enjoy boat riding at ghats like Nagar Ghat, Abhay Ghat, etc. In the evening, we will drive to Ujjain, which is about 4 hour drive from Omkareshwar. An overnight stay in the hotel in Ujjain. On the last day of our exciting tour, we will visit Mahakaleshwar Temple, a Jyotirlinga temple and major attraction of Ujjain. Thereafter, we will other temples and ashrams of Ujjain including Sandipani Ashram, Chousat Yogini, Gopal Mandir, Bade GaneshJi, Harsiddhi Mandir, etc. in the evening, our tour representative will transfer you to the airport/railway station to catch the flight or board the train for onward destination.